The NBC News investigation “Did Forged Signature Clear Way for Dangerous Blood-Clot Filter?” examines medical device giant, C.R. Bard specifically on its Recovery brand of Inferior Vena Cava blood clot filter (or IVC filter). NBC discovered that since the device was approved by the FDA in 2002 and implanted in thousands of people, the Recovery filters have been associated with 27 deaths and a myriad of other non-fatal problems. The report also focuses on the questions concerning how the device was able to get FDA clearance when previous attempts failed. Babbitt and Johnson P.A. is investigating this and other allegations about IVC filters. We are based in West Palm Beach, Florida and work on defective medical device cases nationwide. The Recovery filter is a one-and-a-half-inch metal trap and was designed to sit inside a major vein, the vena cava, to block blood clots from traveling to the heart or lungs, where they could be deadly. Eleven companies sell blood clot filters in the US – the NBC report shows that Bard’s Recovery filter stood out early as a risky device. 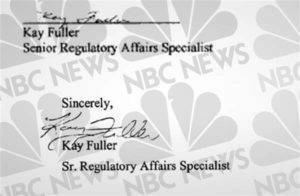 According to NBC’s report, in 2002 Bard recruited Kay Fuller, a veteran regulatory specialist, to help secure FDA clearance of the Recovery filter. Fuller told NBC news that she had serious concerns about this particular device and red flags were raised when she was denied access to results from an important safety performance test. When she voiced her concerns, Bard officials did not want to hear them. According to Fuller, she was told that if she persisted she would be asked to leave the team. She was shocked. Fuller would not sign the application until her concerns were resolved. However, Bard submitted its application to the FDA with what appears to be Fuller’s signature on it. Fuller insists it’s not hers. A sample of her signature from that time is different from the one on the application. Our firm is well aware of the damage faulty IVC filters can cause to innocent people. Our previous post highlighted a recent story by NBC affiliate WPTV in Palm Beach, Florida titled: “FDA warns of potentially deadly complications associated with blood clot filter implants.” This story features attorney Joe Johnson and centers around his client, a South Florida woman who alleges her filter malfunctioned and caused life threatening injuries. Read full post or watch video below. Negligence by medical device manufacturers like Bard do not have to go unresolved. Consumers may have a lawsuit – and recourse – against the designer, manufacturer, or distributor of a faulty medical device. They or a family member may be entitled to financial compensation to help with medical costs, lost wages and other expenses. 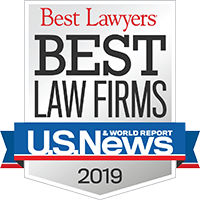 If you or a loved one suffered a serious injury due to a defective IVC filter, you and your family may be entitled to financial compensation to help with medical costs, lost wages and other expenses. To schedule a discussion about your IVC filter lawsuit claim, contact our IVC filter lawyers today toll-free at (888) 666-0523.